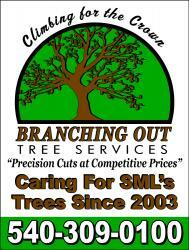 Branching Out Tree Care Experts is an established tree care provider offering all facets of tree work to Lynchburg area residents. Our service area extends into Smith Mtn. Lake and all other surrounding areas.